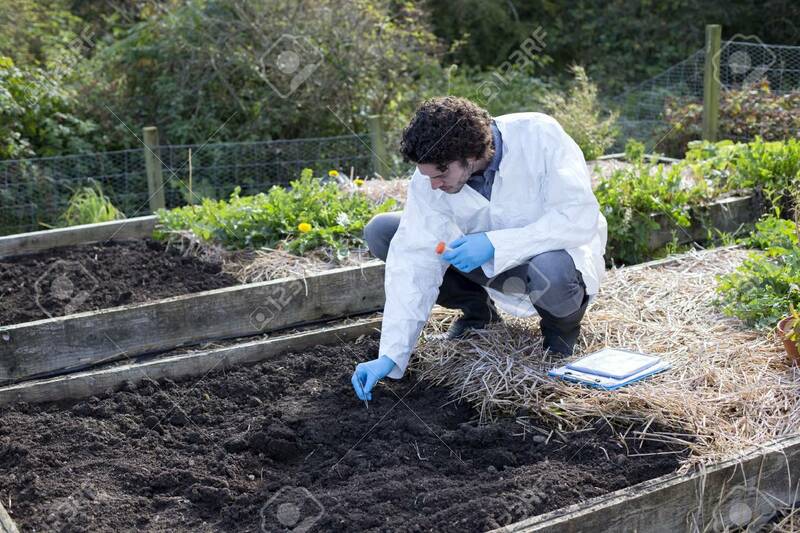 Young Man Testing Soil In An Allotment. He Has A Digital Tablet With Him For Research. Royalty Free Fotografie A Reklamní Fotografie. Image 60486162. Reklamní fotografie - Young man testing soil in an allotment. He has a digital tablet with him for research. Young man testing soil in an allotment. He has a digital tablet with him for research.